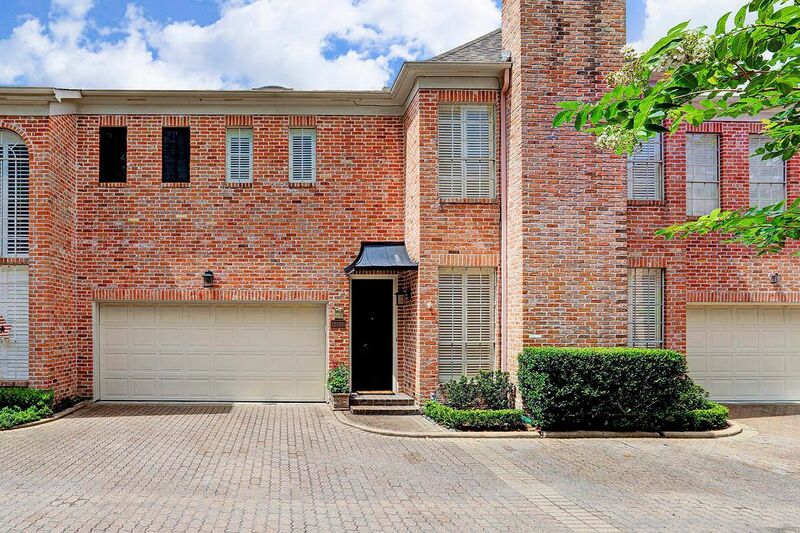 1918 Potomac Drive, Unit B, Houston, TX 77057 | Martha Turner Sotheby's International Realty, Inc.
[Front Elevation] Gracious, private townhouse in Westhaven Estates. 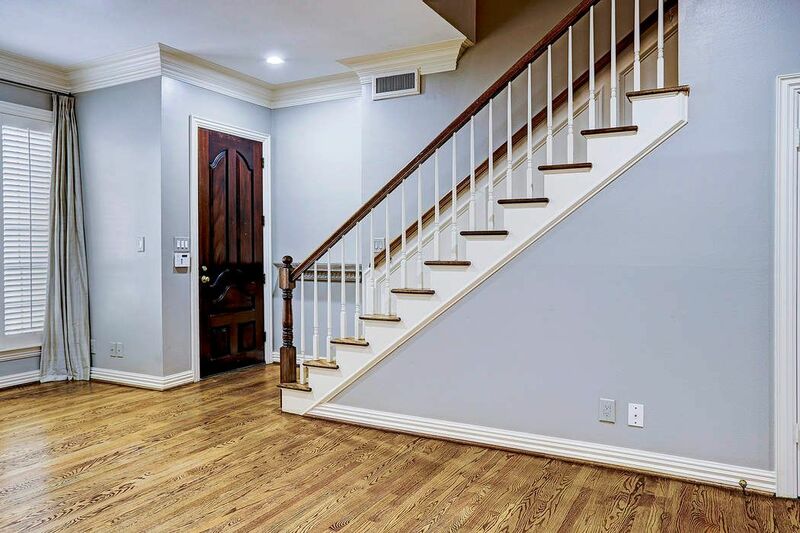 Gleaming hardwood floors throughout the living, dining, and den. 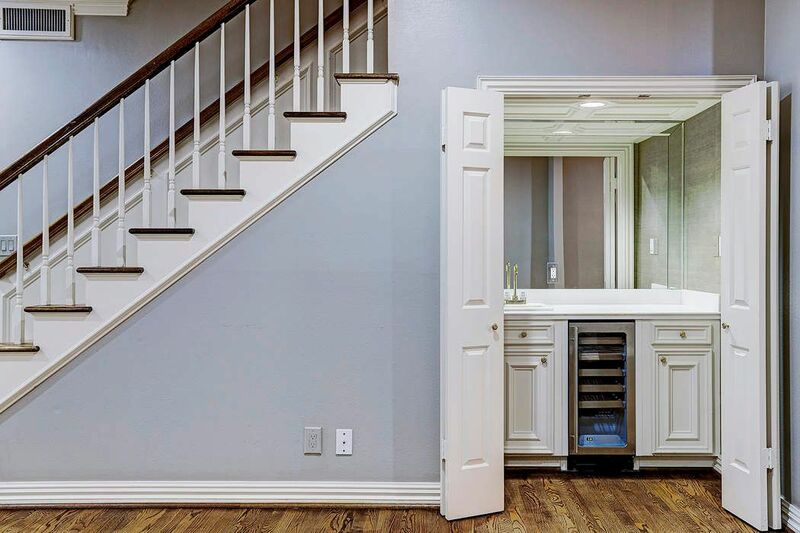 The living room has access to a wet bar behind folding doors. 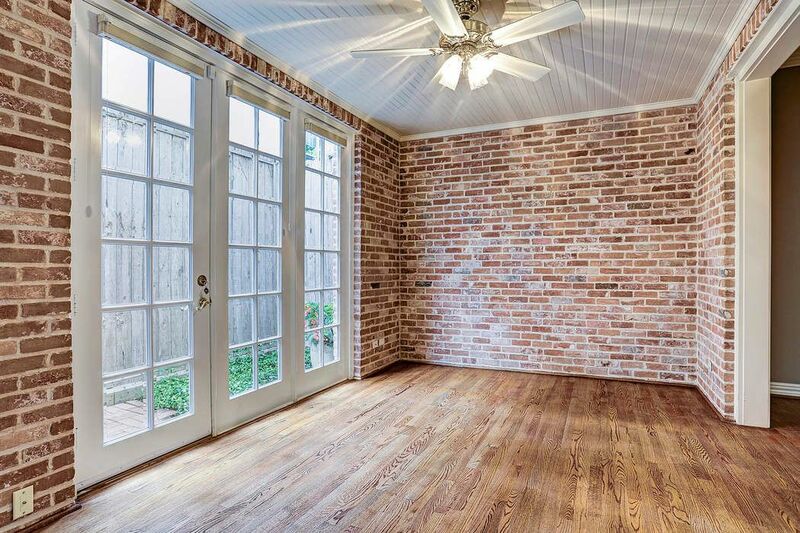 [Den] Once a covered porch, this room is easily accessed by the kitchen, dining room, and the outside through its elegant French doors. 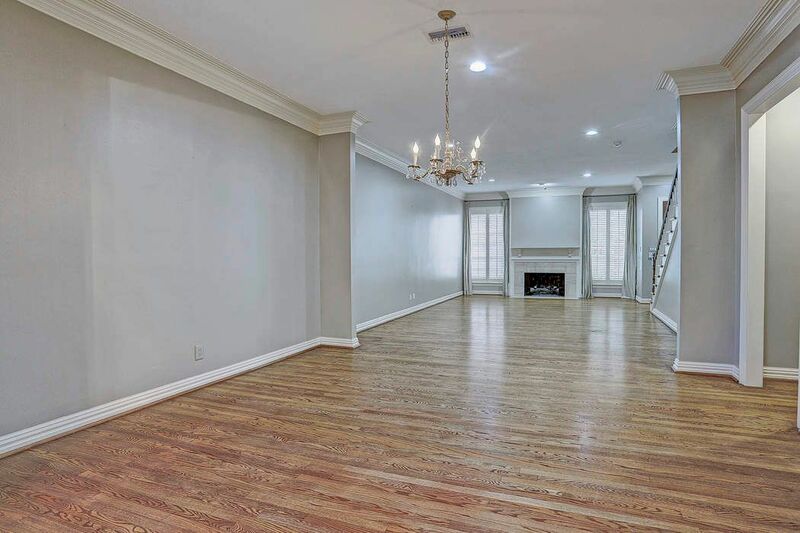 [Formal Living] The spacious living room has high ceilings, two large windows with plantation shutters, and access to the wet bar. [Formal Dining] Looking from the formal dining room into the living room, this exceptional space is perfect for entertainment, formal dining, and leisure. [Breakfast room] Conveniently located next to the island kitchen, the breakfast room is ideal for casual dining. 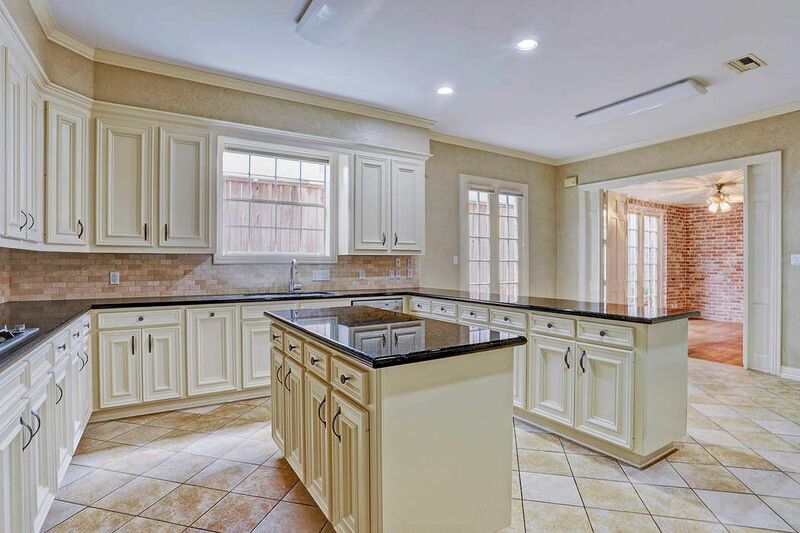 [Kitchen] Viewed from the breakfast room, the island kitchen has an abundant amount of storage. 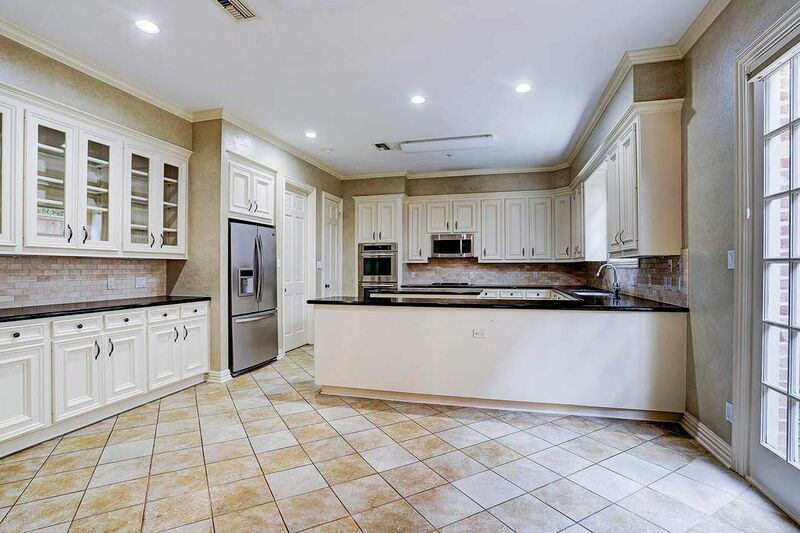 [Kitchen] The gourmet kitchen includes granite counter tops, a gas range stove, and tile flooring. It's adjacent to the in-house utility room. 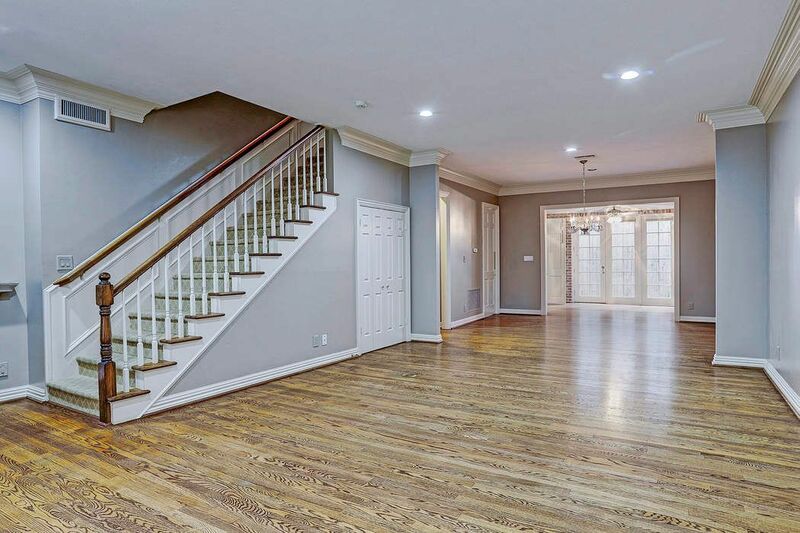 Elegant staircase extends to the second floor and into the formal living room. 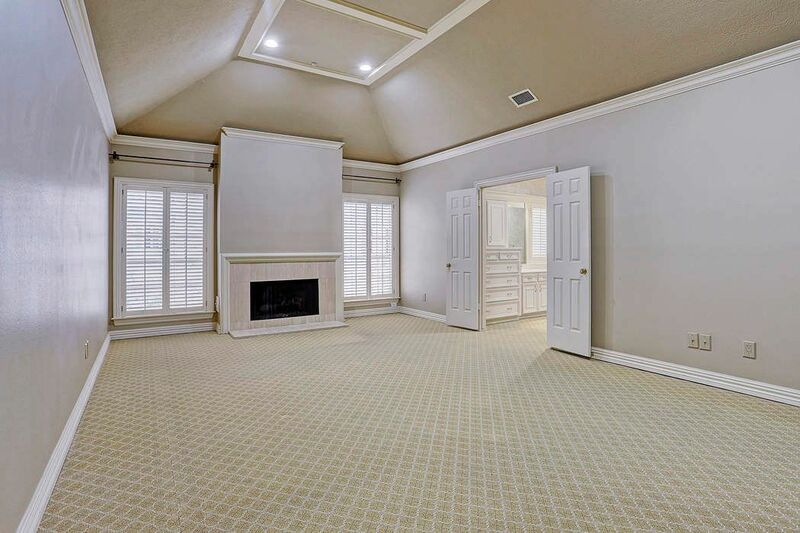 [Master Bedroom] Complete with a fireplace, tray ceiling, and carpet, the master bedroom is incredibly spacious with plenty of room for a sitting area. 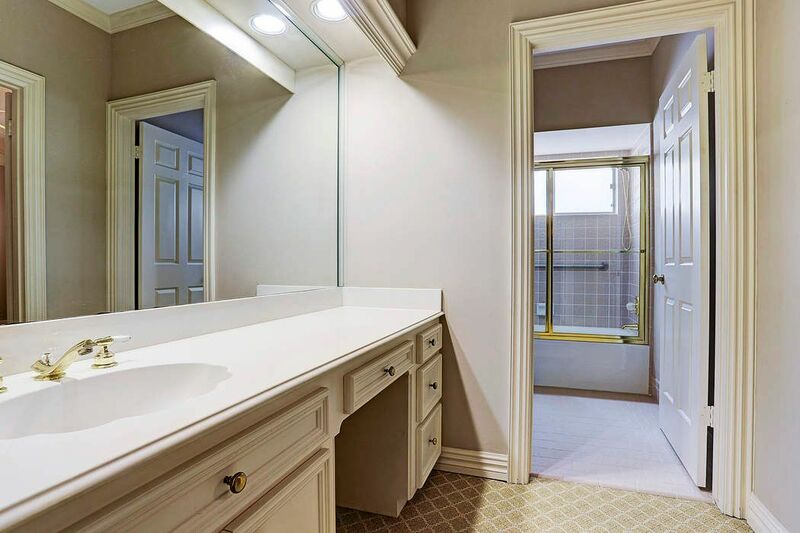 [Master Bathroom] The spacious master bathroom is complete with double sinks, a vanity, a glass-faced shower, and a bathtub. 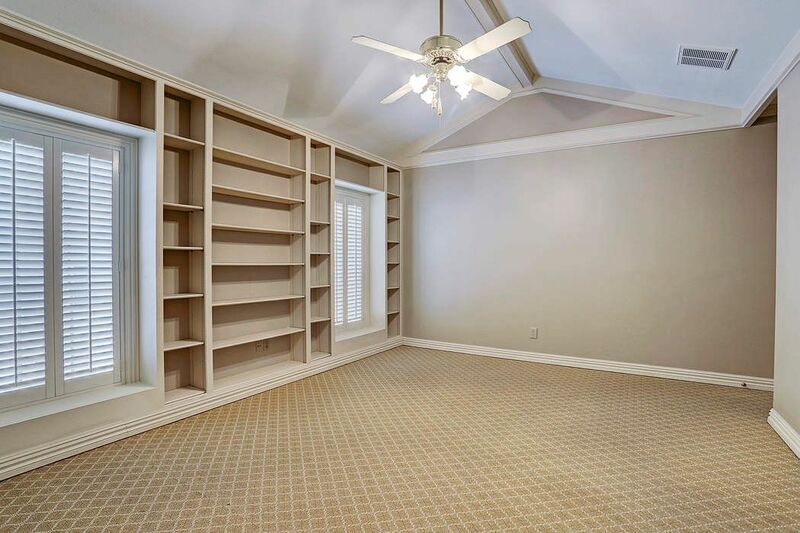 [Third Bedroom] With its built-in, adjustable shelving, this room can be used as a home office, a study, an exercise room or another bedroom. 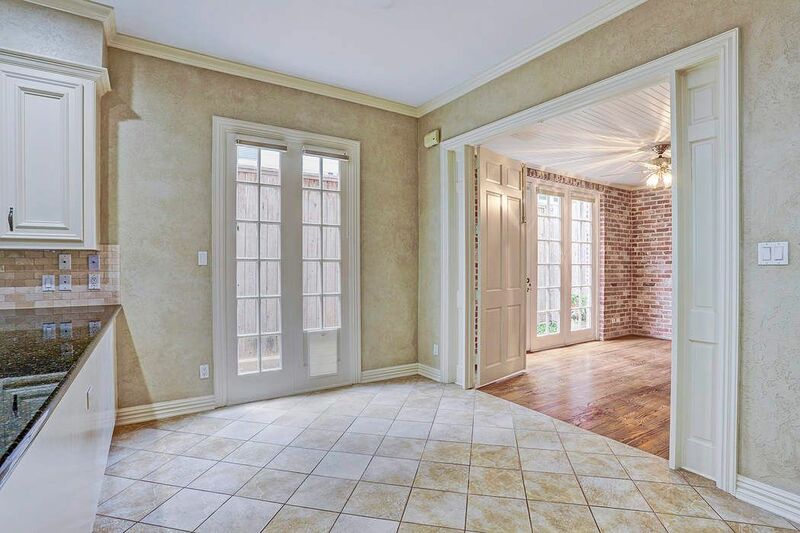 $570,000 3 Bedrooms3 Full / 1 Partial Baths3,572 sq. ft. 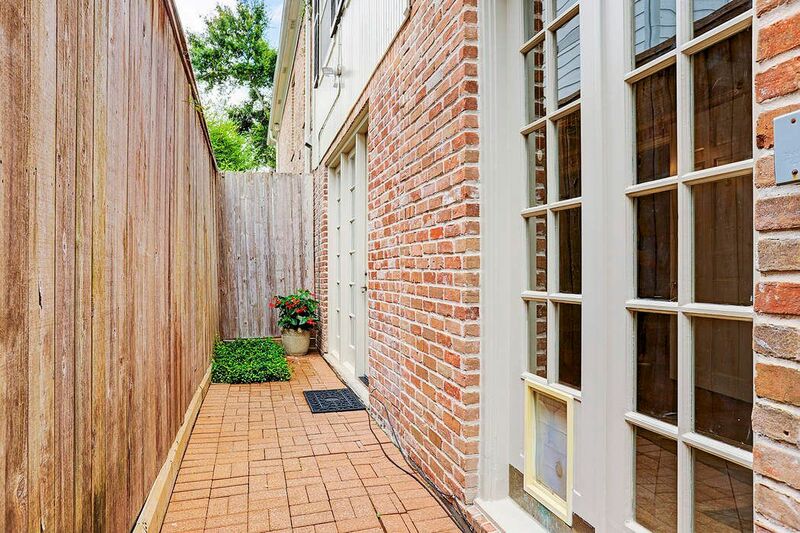 Elegant Lucian Hood and Tom Overstreet townhouse nestled behind a gated drive. 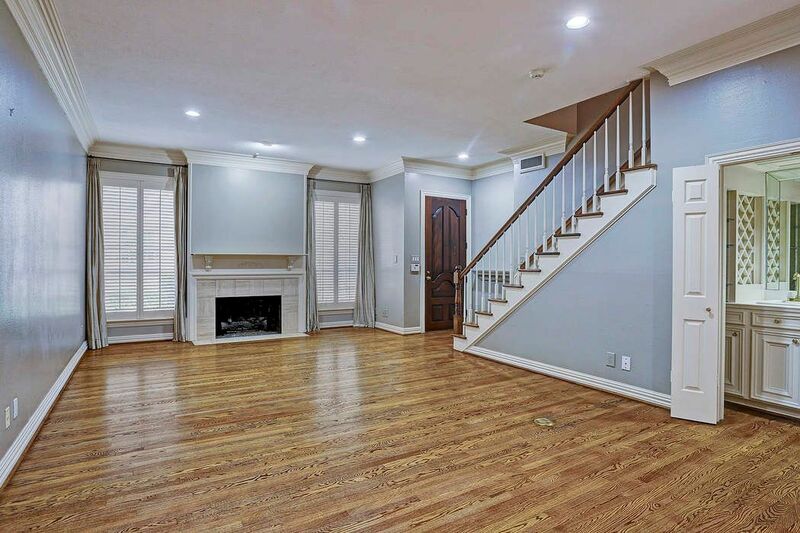 With tall ceilings, hardwood floors, and three spacious bedrooms, this home is gracefully designed. Patio enclosed with French doors creating a light-filled den area off the kitchen; the home is abundant in gracious living spaces. Entrance to the home through a double-wide driveway; recently planted front garden; and 2-car garage. 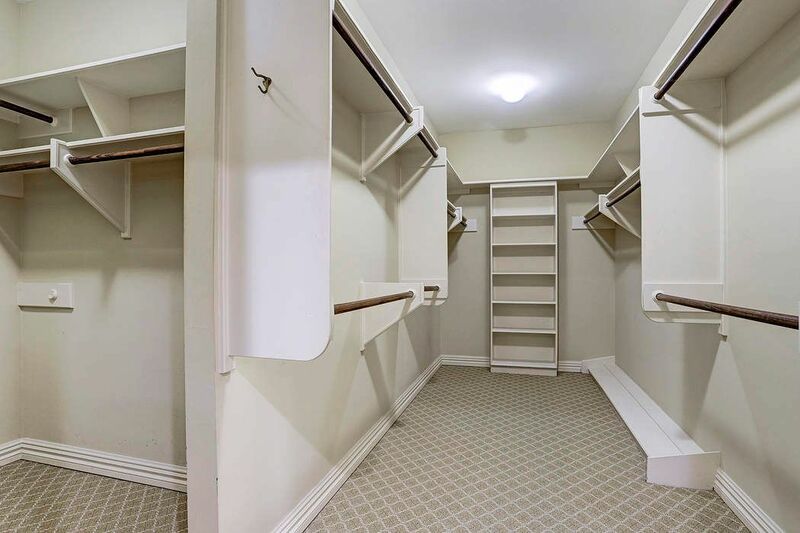 All bedrooms include en- suite baths, sizable closets and large windows. 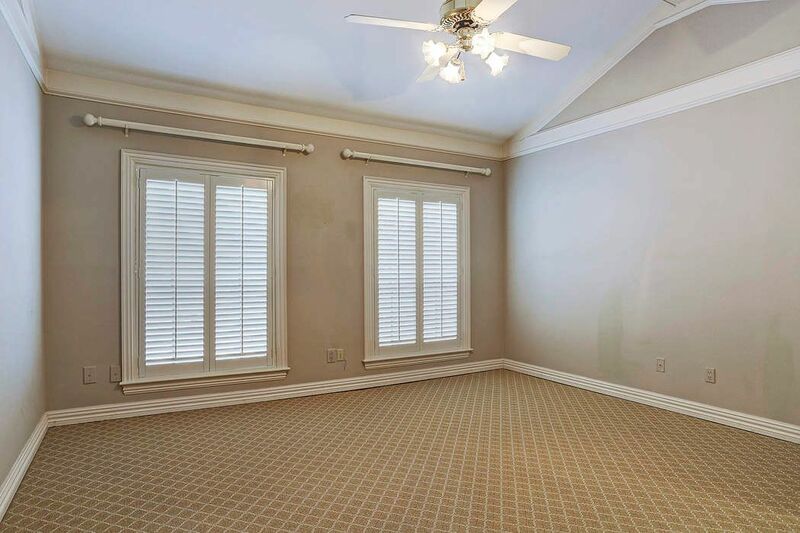 Third bedroom with built-in shelving perfect as a home office, study or exercise room. 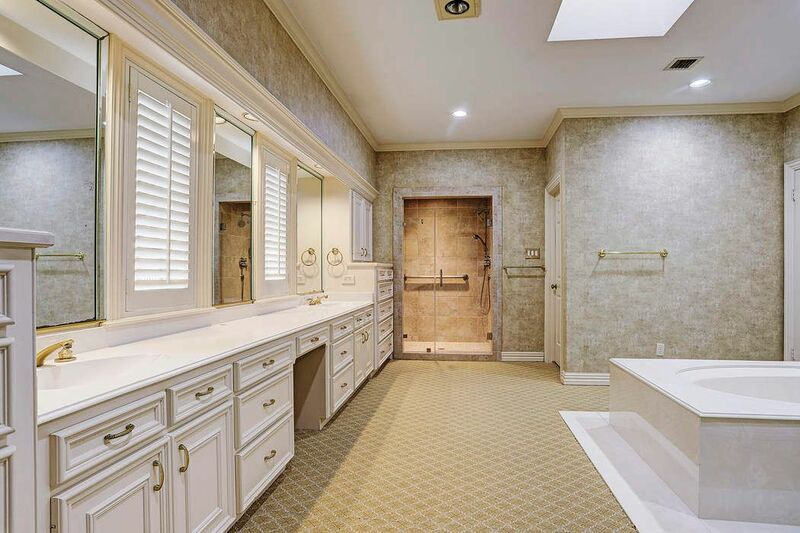 Interior amenities include plantation shutters, formal living, formal dining, wet bar, updates include roof and skylight (2018), and tankless water heater.